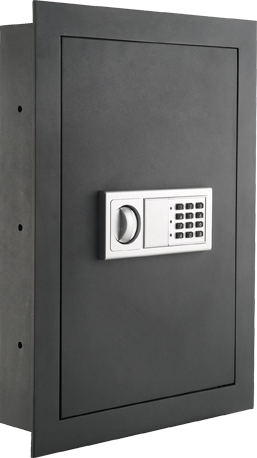 If you are considering an electronic wall safe, look no further. 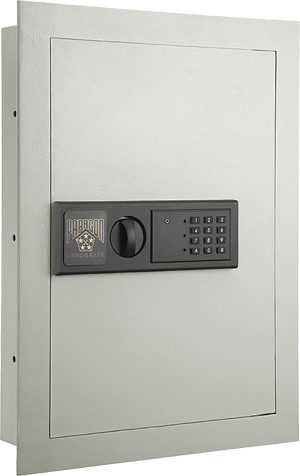 We are pleased to Introduce the Quarter Master 7750 Digital Keypad Deluxe Home Office Security Wall Safe by the Paragon Lock and Safe Co. It is perfect for the home, office, or vacation home. It was designed with the intent to secure your valuables in a concealed location--behind a picture or inside a closet. 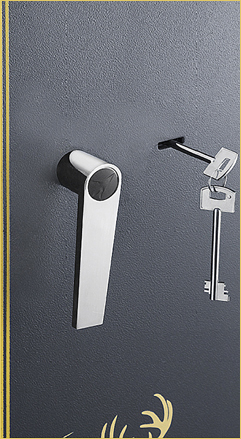 The Quarter Master 7750 offers 2 options to open, code or key. We include a 10 Year Manufacturer Warranty. The best part of this item is the price, it is significantly less than similarly featured safes and is packed with more features! Paragon Lock & Safe has developed a winner with the 7725 Superior Wall Safe. They took their best selling wall safe and re-engineered it with a new locking mechanism which is much "flatter" and easier to conceal. It is perfect for the home, office, or vacation home. It was designed with the intent to secure your valuables in a concealed location - behind a picture or inside a closet. 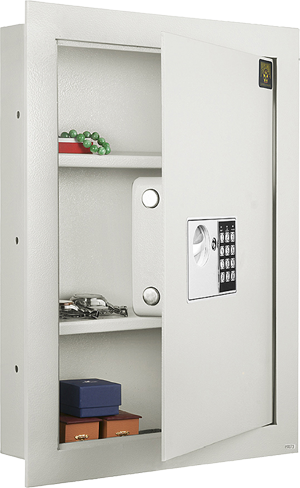 The 7725 Superior Wall Safe offers 2 options to open, code or key. We include a 10 Year Manufacturer Warranty. The best part of this item is the price, it is significantly less than similarly featured safes and is packed with more features!